In the wake of yet another mass shooting, this time at Umpqua Community College in Roseburg, Ore., conservative commentators have largely resisted the familiar impulse to suggest that more guns are the solution to gun violence. Instead, writers such as The Post’s Charles Krauthammer have shifted to an even starker prescription for the endless procession of mass shootings in the United States: Do nothing. But the choice between the blood-soaked status quo and the politically impossible is a false one. The academic literature on gun violence reveals a number of common-sense policies that demonstrably save lives. In Missouri, the 2007 repeal of a PTP law was associated with a 14 percent increase in the murder rate and an increase of 16 percent in the firearm-related suicide rate. Studies that examined Connecticut’s 1995 PTP law found that it was associated with a 40 percent reduction in the state’s firearm homicide rate and a 15 percent reduction in firearm suicides. Further, no “substitution effect” was observed in either Missouri or Connecticut, meaning criminals didn’t switch to other weapons when they failed to obtain firearms. Additionally, a number of states have passed laws designed to keep guns out of the hands of perpetrators of domestic violence. Some states bar firearms from those convicted of misdemeanor domestic violence; others restrict people with domestic-violence restraining orders. A 2006 study by Duke University’s Elizabeth Richardson Vigdor and James A. Mercy of the Centers for Disease Control and Prevention looked at data from 1982 through 2002 covering 46 states and found that policies that prohibited people with a domestic-violence restraining order from owning a gun are associated with a 7 percent reduction in intimate-partner homicides. Another study, by Webster and Michigan State’s April M. Zeoli, analyzed a similar set of policies but used more fine-grain city-level data and a more robust set of controls. It concluded that such policies were associated with a 19 percent reduction in intimate-partner homicides. Finally, in the United States, gun manufacturers are able to design their products without regard for consumer safety. This is largely the consequence of the 2005 Protection of Lawful Commerce in Arms Act (PLCAA), which gave broad immunity to gun manufacturers and dealers from liability litigation. 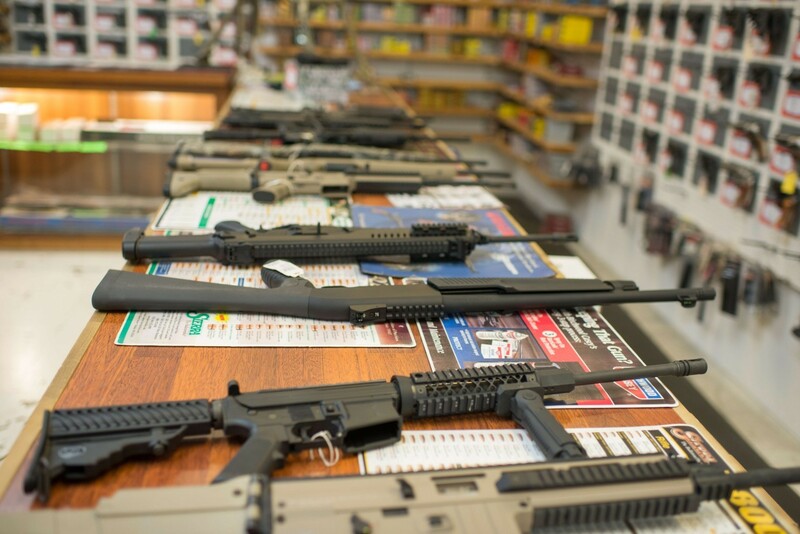 Before the passage of the PLCAA, tort liability lawsuits were slowly influencing the conduct of gun manufacturers and dealers, better aligning them with public health. Lawsuits in Chicago and Detroit targeted retail gun shows and wholesalers engaged in practices facilitating illegal straw purchases. Studies on the effects of these suits found that there were substantial reductions in the flow of guns to criminals in these cities. In other industries, the threat of litigation related to unsafe products has produced powerful incentives for manufacturers to take steps to improve safety. Such pressure would likely encourage gun manufacturers to embrace rigorous standards, including the adoption of “smart” guns that can be discharged by only an authorized user. Unfortunately, with the PLCAA protections in place, there is no incentive for gun makers or sellers to pursue the design and policy changes that would immediately benefit public health. In a recent TED talk, Webster prepared a list of such reforms that stopped well short of gun confiscation and suggested the evidence shows that they offer a path to reducing gun murders in the United States by 30 to 50 percent and to dramatically curtail gun suicides. But let’s assume that this is overestimation and that the combined influence of these policies could prevent only 10 percent of our nation’s more than 33,000 annual gun deaths. That would still be the equivalent of preventing the 9/11 terrorist attacks, every single year. We don’t need gun confiscation to save lives. We can do that through common-sense gun reform.